Air Pollution Still Kills Thousands In U.S. Every Year : Shots - Health News An analysis examining mortality among millions of Americans concludes that a tiny decrease in levels of soot could save about 12,000 lives each year. A comprehensive study of air pollution in the U.S. finds it still kills thousands a year, and disproportionately affects poor people and minorities. The air Americans breathe has been getting cleaner for decades. But air pollution is still killing thousands in the U.S. every year, even at the levels allowed by the Environmental Protection Agency, according to a study out Wednesday. "We are now providing bullet-proof evidence that we are breathing harmful air," says Francesca Dominici, a professor of biostatistics at the Harvard T.H. Chan School of Public Health, who led the study. "Our air is contaminated." Dominici and her colleagues set out to do the most comprehensive study to date assessing the toll that air pollution takes on American lives. The researchers used data from federal air monitoring stations as well as satellites to compile a detailed picture of air pollution down to individual zip codes. They then analyzed the impact of very low levels of air pollution on mortality, using data from 60 million Medicare patients from 2000 to 2012. About 12,000 lives could be saved each year, their analysis concludes, by cutting the level of fine particulate matter nationwide by just 1 microgram per cubic meter of air below current standards. "It's very strong, compelling evidence that currently, the safety standards are not safe enough," Dominici says. 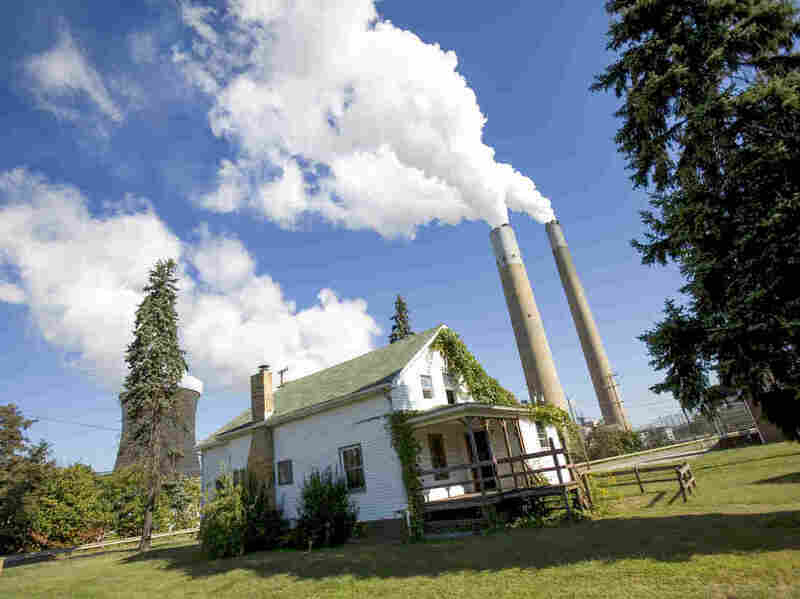 Fine particulate matter — basically, tiny particles of dust and soot — appears to be especially dangerous for African-Americans, men and poor people, the researchers found. Compared to the general population, African-Americans are about three times as likely to die from exposure to it, the researchers found. The study did not examine why that would be the case, but Dominici has some theories. "People of color tend to be sicker and more affected [by] disease," she says, pointing out that they also tend to live in places with more pollution and have less access to health care. Taken together, she says, the results indicate that more should be done to push air pollution levels as low as possible. "I think it is the responsibility of the government to make sure that our air is clean," she says. The EPA did not respond to NPR's request for comment. Scott Segal, a Washington lawyer who works for the energy industry and has advised the Trump administration, argues the study is flawed. And he says that cutting air pollution even further would come with big costs. "When we have very expensive environmental rules, they in and of themselves can adversely affect public health" by increasing the cost of medical care, suppressing economic growth, and siphoning off resources from more serious health threats, Segal says. But Jeffrey Drazen, editor-in-chief of the New England Journal of Medicine, defended the research in an editorial accompanying the study. "What these data are telling us is that even with our current standards, if we cleaned up the air more, we could save lives," Drazen says. "Anything that we did that pushed things in the opposite direction — that gave us dirtier air — not only would be unpleasant, it's going to kill a lot of people." And Drazen says the Trump administration's policies would make the air dirtier. He cited the administration's efforts to cut the EPA, increase the use of coal, relax air pollution standards and withdraw from the fight against global warming. "If you look at what's happening in the Trump administration, the general direction is not to clean up the air," Drazen says. "So this is a warning that if we don't clean up the air, the people who are going to bear that burden are the poor and the disadvantaged, more than the rich and well-off."